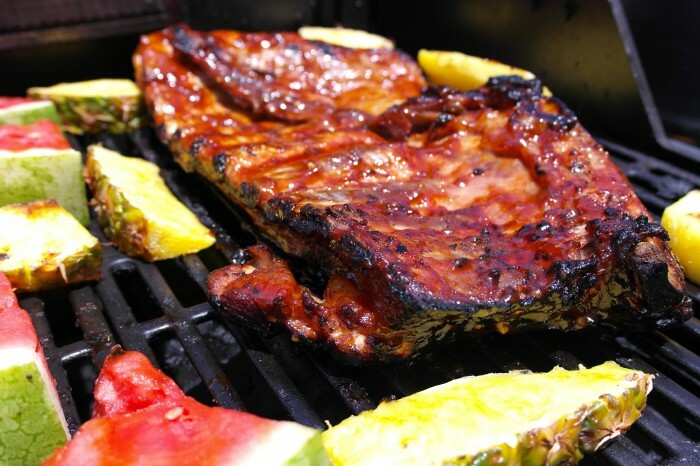 With grilling season here, it’s time for some delicious eats! Even though I live a few hundred miles from the beach, I always imagine grilling on the beach would be so much fun. Well, I don’t have the beach but I do have Root Beer (next best thing, right?). 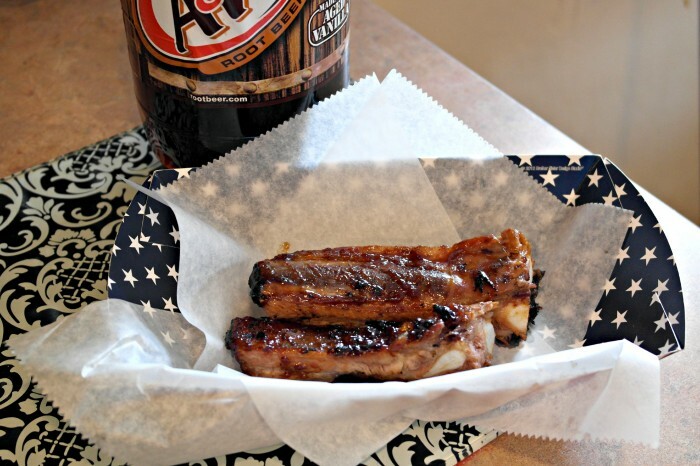 This week I made Pork Spare Ribs w/ a Root Beer Marinade. I’ll be honest, I’ve never cooked a rack of ribs before but it was really easy. 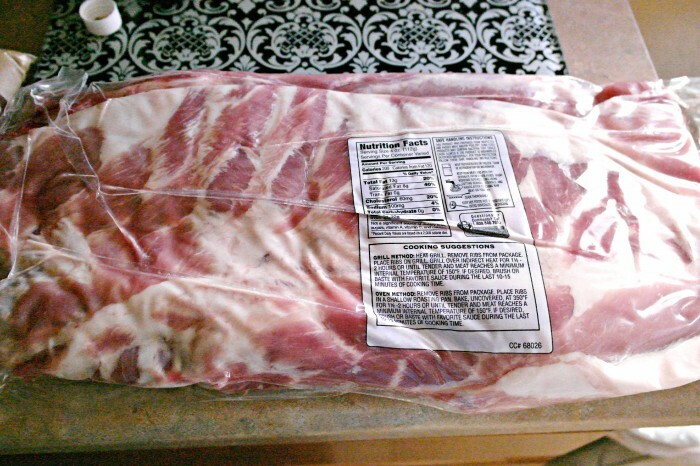 First thing first, bring home a nice rack of spare ribs. Don’t be overwhelmed if you have never cooked ribs, it’s easy I promise! 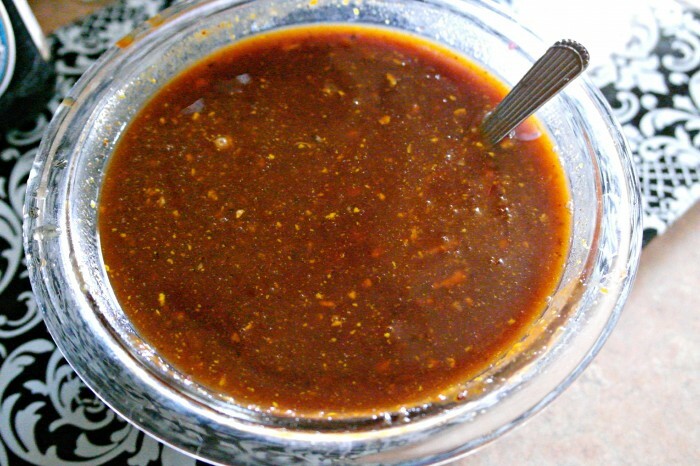 You’ll only need two ingredients for this marinade: Root Beer and BBQ Sauce. Before you put these ribs on the grill they will need to marinate and cook for a couple hours in the oven but it’s worth the wait. Blend all ingredients together, refrigerate until use. Preheat oven to 200 degrees when ready to cook. 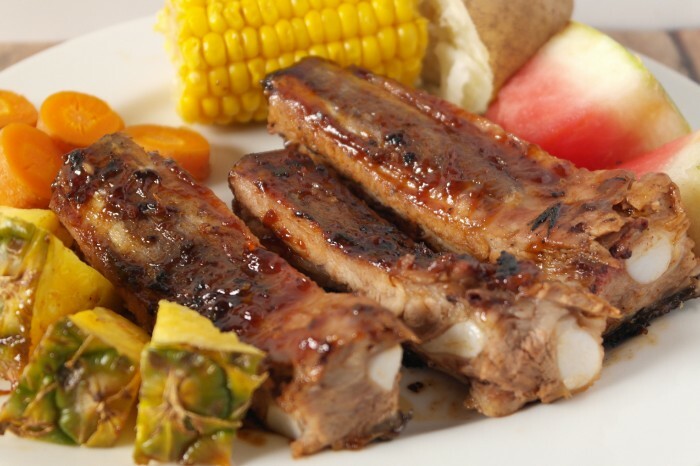 Blend together, allow ribs to marinate for at least an hour in an extra large casserole dish. Once marinated, place in preheated oven and cook for 2 hours. 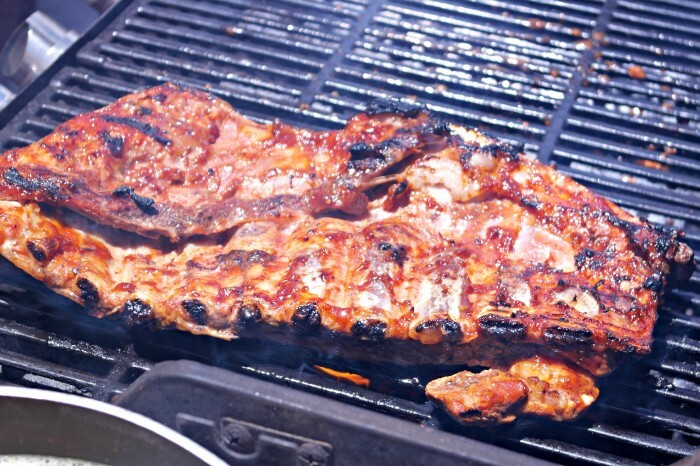 Once the ribs are done in the oven, place them on a heated grill. Baste the top and cook each side for 7 minutes. 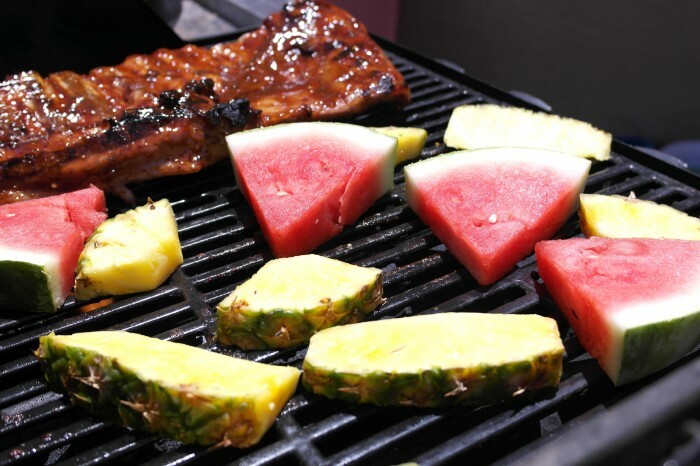 Have you had grilled pineapple and watermelon? It’s really easy to do! 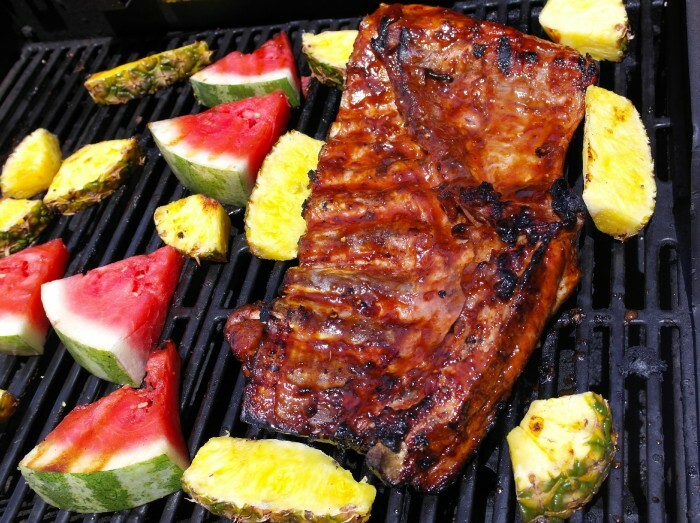 Just cut and slice watermelon and pineapple and throw them on the grill while you wait for the ribs to cook! After the ribs are grilled on each side for approx 7-10 minutes. Check the inside temp, should be around 170-180 degrees. 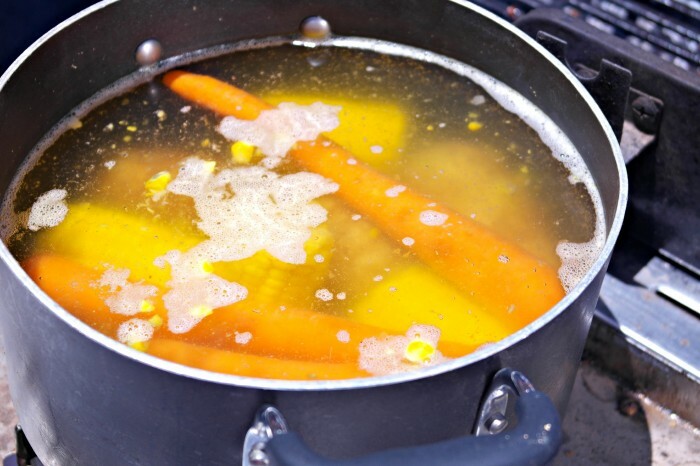 If you want to cook an easy side dish, boil potatoes, corn on the cob and carrots in a large pot. 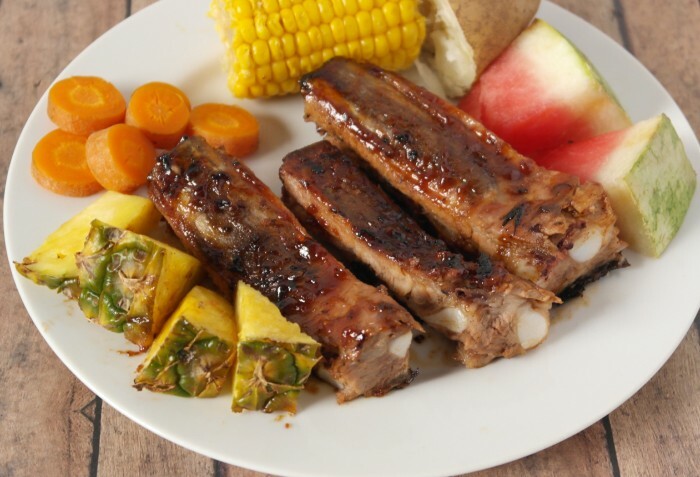 Once it’s all done, split the ribs apart and serve with veggies. 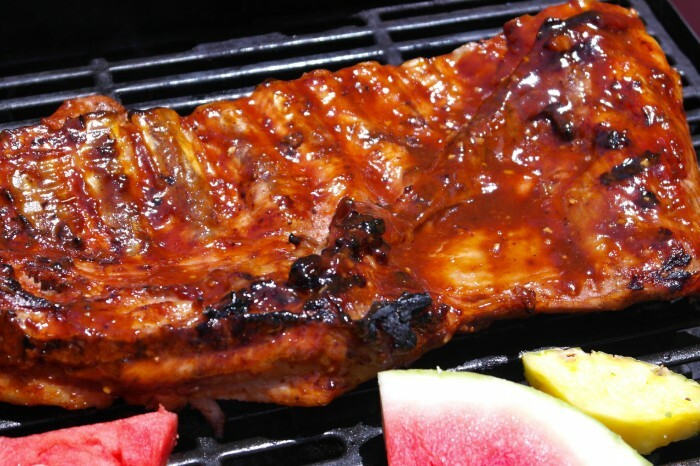 These ribs would make a great meal for 4th of July! I gotta try this it looks delish!! Those look delicious! 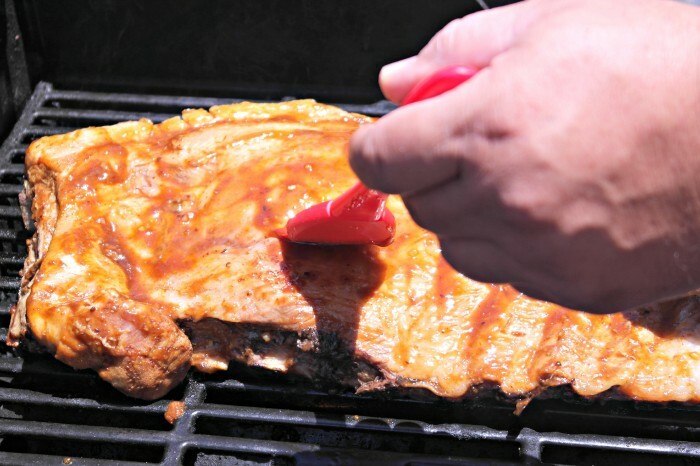 I never would have thought to add root beer to my marinade or BBQ sauce! A tad confused on the directions. 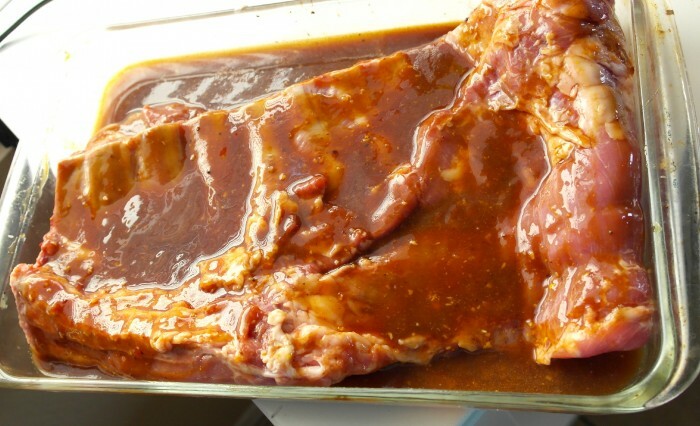 Do I marinate in the first set of ingredients and then marinate again in the root beer marinade for at least an hour? Or is there only 1 marinade process? Thanks!